The article on hand uses the city of Songdo, South Korea, to examine how self-proclaimed smart cities select their citizens, and to what effect. It shows how the smart city uses technological systems to refigure citizens into subject declared valuable, fit for competing in the global knowledge economy, and thus highlights the exclusionist aspects of the notion of a smart city. The form of governmentality to be found in this city, the article argues, is highly socially selective and holds the potential to profoundly upend societal constellations, pushing those who are already marginalised by the knowledge economy even further to the rims of society. The smart city, at least as it is envisioned in the case of Songdo, is in this sense an expression of highly efficient clientele politics. Carried by a public- private cooperation, it seeks to establish a new estimation of the relative moral values of various professions in urban environments. In this paper, we reflect on self-tracking practices in the context of neoliberal ideologies – predominantly the quest for self-improvement as mediated by and affecting the individual. On the backdrop of Foucault’s concept of governmentality and current academic research on the Quantified Self, we consider online accounts and reflections of people’s self-tracking endeavours as they emerge from and exist in neoliberal frameworks. We will outline how they relate to and produce ideas of humanity as inherently risky, the construction of ‘normality’ based on individual parameters, as well as optimisation as a never ending imperative where new opportunities for improvement are paramount. Finally, we present and suggest ways of queering self-tracking in order to subvert and reconceptualise its practice in order to imagine and enable the emergence of different utopias. Based on our experience in the project ‘The Importance of Being Digital: Exploring Digital Academic Practices and Methods’, we narrate our different trajectories of engagement with digital methods and digital practices. Inspired by emerging scholarship that looks at prototypes as a cultural and epistemic form, we delve into an exploration of methods (both traditional and digital) as prototypes – open-ended, non-instrumental explorative devices – for our knowledge processes. By opening up the craft of our research we illustrate and discuss what ‘digital ways of knowing’ – ways of knowing inspired by digital practices – might look like, and which reconfigurations of knowledge practices and trajectories they could enable. Participatory action research (PAR) is a research approach that aims at egalitarian and inclusive knowledge production through collaboration between researchers and lay people. PAR’s aim is to not only enhance scientific insights, but even day-to-day practices. Although it is a promising concept in terms of applicability and of grounding research, this paper focuses on challenges arising from power imbalances and hierarchies between all participants involved. By analysing an empirical example from a two-year PAR project with children, we aim to critically reflect upon how all participants negotiate their demands and desires during the course of research. The article draws on Standpoint/Sitpoint Theory, as well as on disability studies, to understand how categories such as ability and disability play a significant role when it comes to the production process of knowledge. Focusing on tensions produced by the heterogeneity of positions, relations and conflicts, the article concludes with suggestions on how to deal with hierarchical power structures within and across different groups of research participants. Digital communication technologies and online social networking services are often referred to as systems of opportunities for social inclusion of people with disabilities, not least through the facility of communicating in relative anonymity, potentially free of certain prejudices and other social barriers. They are further described as tools for activism, empowering individuals and fostering autonomy (Shakespeare 2008). This opens up important questions in regard to participatory design approaches and political implications of collaborative research and technology development. In this discussion paper we will carve out a specific case study: a participatory design research project developed in the context of deaf-blind communication, interaction, empowerment and activism. This is a two part paper about aspirations and obstacles for transdisciplinary research. The first part is a theoretical reflection on what it means to take transdisciplinarity serious and how it might help to change our worlds through research in a responsible and socially inclusive manner. With the first part, I suggest thinking about how we construct our publics, alliances and relations in our research practices. 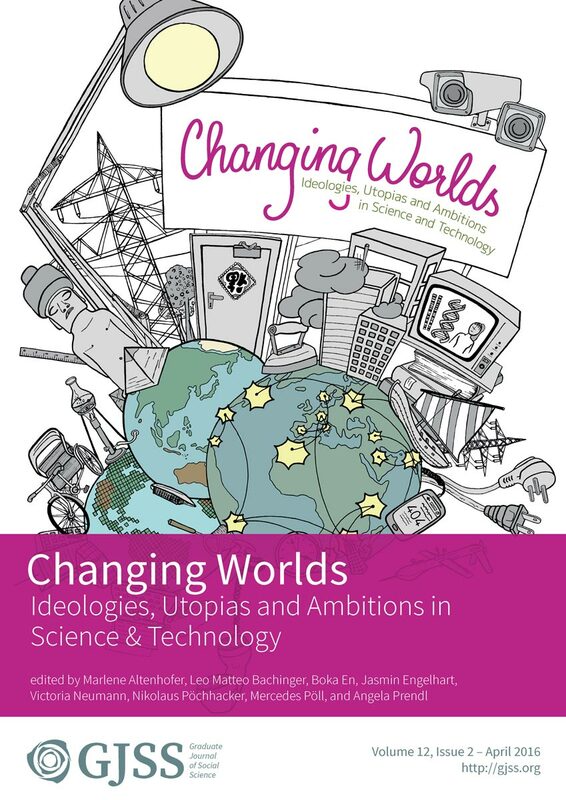 The second part of the paper adds reflections on a practical exercise of transdisciplinary intra-action among the Changing Worlds 2014 Conference participants. The hope of the overall paper is to inspire more tools, moments and interventions of transdisciplinary intra-action in the social sciences and beyond. In this essay we present a broad picture of the development of Science and Technology Studies (STS) during the last 20 years. Through a historical approach and the use of fluid methodologies we study STS literature and the public reaction to it. The essay focuses on explaining the rise of this particular field of Social Sciences and the reasons for the recent conflicts within it. The authors argue that the developments of STS were intertwined with the retelling and repositioning of the events of the Green Storm attack. Taking this into account, this new approach provides valuable additions to our understanding and it contributes to a further theorizing of academic research, the role of academia in policy-making and the appearance of new schools of thought. Furthermore, while most previous research on the Green Storm events and history of STS failed to acknowledge this double contingency, our preliminary findings indicate that it is crucial not only to understand the past of STS, but also its future.